Look guys, we live in a time where machines pretty much dominate our lives. We are on a computer at work all day, we drive a car to work, we use a microwave to heat up our food, we communicate with people more on the phone than we do in real life. It’s no surprise then that every gym seems to be purchasing more and more machines while reducing the amount of space dedicated to free-weights. Having said that, when it comes to building muscle the classic free-weight exercises are still the most effective. While they might take more time to learn if you stick to them you will definitely build yourself a way better physique then all of those guys doing leg extensions and cable curls. So just which exercises are we talking about? 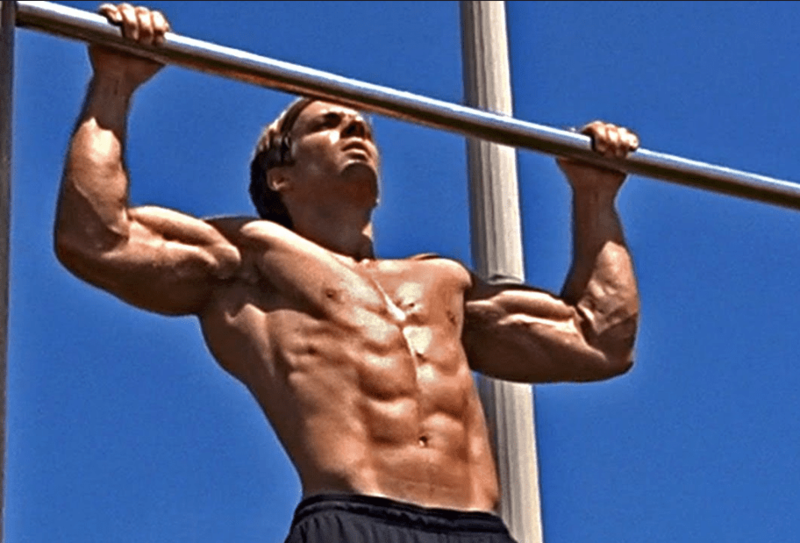 Did you know that on back day Arnold used to bang out tons of pull-ups before even starting the other exercises? That’s how important these are. Whether you choose to do them with your palms facing towards you (chin-up) or away from you (pull-up) you will still experience tremendous benefits from this lift. They work pretty much all of the muscles in the back as well as the biceps. However, one benefit they also provide is improved grip strength. Many people struggle to hold on to heavy weight which causes them to slow down their progress in the gym. Pull-ups (for big guys in particular) will force you to build rock-solid grip strength. Chances are you are already doing this one – however it’s probably on one of those machines. The problem with the machine version of this exercise is that it locks your arms into a fixed range of motion which might not be normal for you. As a result, you can end up putting a lot of stress on your shoulders. Instead, opt for the barbell or dumbbell version of the exercise. You might need to ask for a spotter, but the freedom it gives you will make it far easier to hit the target muscle groups of chest, triceps and shoulder. Everyone’s favorite exercise to skip. While some people might think it’s acceptable to replace these with leg extensions and leg presses, the truth is that no other exercise in the gym comes close to the Squat. It works more muscle groups than any other exercises and results in a nice bump in testosterone production. While having huge quads and hamstrings might not be your main goal when it comes to bodybuilding, it’s still important to have a well-balanced physique in order to look your best. Who knows, maybe you will actually start enjoying leg day eventually? After the squat, this is probably the most effective exercise you can do. It adds lots of thickness to your back and also boosts your grip strength. 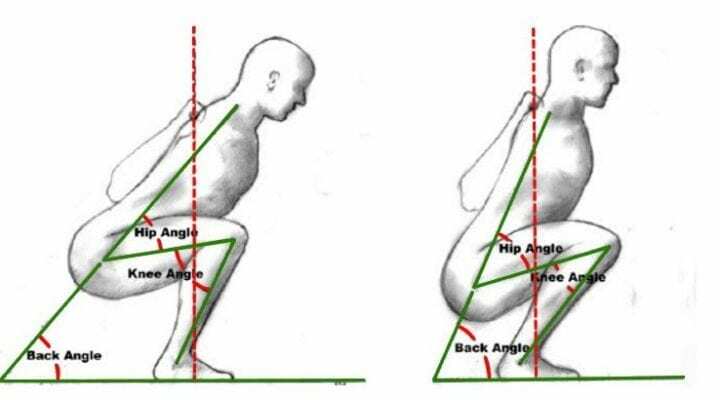 Like the squat, it definitely takes time to master this exercise but if you take the time to learn it you will be well rewarded. Shrugs are great for adding size and thickness to the trapezius muscles. The mistake people tend to make with this exercise is trying to lift too much weight. They end up rolling their shoulders and taking the pressure off the traps. While you definitely can and should go heavy on this exercise make sure your form is still solid so you are getting the full benefit. This was the favorite exercise of multiple Olympia-winner Dorian Yates. It helps build up your lats so you get that coveted v-taper look. Make sure you keep your posture throughout the lift so that you don’t put the pressure onto the lower back. Also, lower the weight slowly so you get the full benefit of the negative portion of the lift. Do you want to know the factor that determines how much muscle you can gain? Yes, we are talking about testosterone. Testosterone the male hormone is the thing that determines how fast and how much muscle you can build. Obviously higher levels of testosterone will make you gain strength and muscle faster. 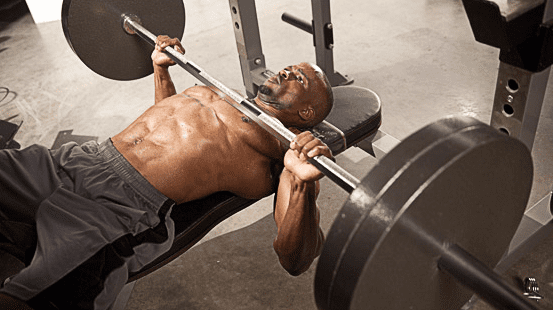 What is important for natural bodybuilder to pay attention to is their testosterone levels. Are you gaining muscle slowly or not at all? It could be because you have low testosterone levels. A great way to maximise our natural ability to produce high levels of testosterone is to take in the right supplements. They contain ingredients that supercharge our natural testosterone production and allow us to build more muscle faster. We’ve made a complete guide about the best testosterone boosters on the market.